Steve Dewsnip has been formally ordered by the Marbella Courts to provide an address for summons, as petitioned by a Denia Court via a Search Warrant. Mr. Dewsnip, who is ‘disappeared’ for the Denia Court where proceedings are currently underway against himself, Baron David de Rothschild and Mark Coutanche, is nonetheless alive and contactable when required to turn up in Marbella to testify tin favour of his old bosses, N.M. Rothschild & Sons, on other cases brought against the latter company. As it happens, lawyers acting for ERVA turned up at the Marbella Court and requested the Guardia Civil, whom were handed the document that is currently visible on this site, to warn the Judge -presiding over a case brought by victims of Rothschild- that Mr. Dewsnip was listed as a witness for the Guernsey-based bank. So what exactly happened later is uncertain, as ERVA lawyers were not present, but it appears that when Mr. Dewsnip went in to the Court the Judge asked him not to leave straight after finishing his deposition as he had to be notified of a summons from a criminal Court. Rothschild lawyers were needless to say outraged and were looking for those to blame for what they deemed underhand and disloyal tactics. Meanwhile, we are eagerly waiting for news on Mr. Rothschild interrogation at the appropriate French Courts. Reopening of the criminal investigation (preliminary inquiries) that was provisionally set aside (the latter status was not made aware to us as we had thought it was ‘alive’; as it happens, it makes little difference from a practical point of view). Informing the Spanish Prosecutor of the Court’s decision. Ordering the claimants’ counsel to submit a criminal complaint, making it extensive to Baron David de Rothschild (the POA did not include him as he was initially not listed as a potential defendant) with a view to “guarantee his right to a legal defense”. Ordering the Police Forces in Madrid and Barcelona to verify whether Rothschild’s addresses in those cities are suitable for summoning Baron David de Rothschild and Stephen Dewsnip, with a view to being interrogated following an official indictment. It remains to be seen how will the bank tackle this setback; so far, the Rothschild camp have stood firmly by their IHT mitigation CreditSelect loan product, deriding clients’ claims and being dismissive of the authority and capacity of Spanish Courts. The Olive Press newspaper has published that a law firm acting for equity release victims has demanded that Baron David de Rothschild appears in Court. 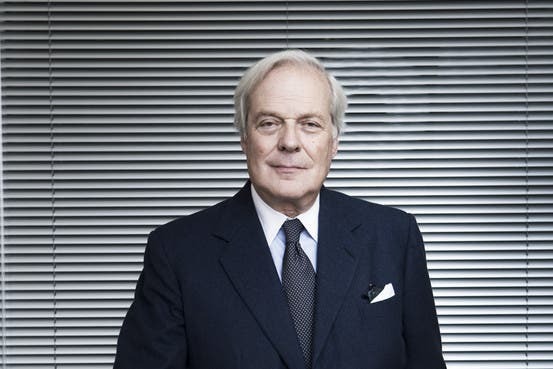 Mr. Rothschild, former Chairman of N.M. Rothschild & Sons, is considered to be the ultimate responsible person of allowing the bank’s advertising to be published in this country. The referred literature includes an open invitation to register a Spanish property with a mortgage loan to, according to Rothschild, reduce Spanish Inheritance Tax. Manufacturers or traders who make false claims or declare untrue features in their offers or publicity of products or services, so as to cause serious, manifest harm to consumers, without prejudice to the relevant punishment for having committed other felonies, shall be punished with a sentence of imprisonment of six months to one year or fine from twelve to twenty- four months. The petition for formal indictement and summons has been filed through the Denia Courts, currently investigating a fraud claim institigated in 2011 by Fuengirola firm IURA. Stephen Dewsnip and Mark Coutanch, both named and charged in the above criminal proceedings, have failed to attend a hearing and as a result, have been issued with 2 warrants. Rothschild has been eagerly avoiding being linked to fraudulent lending and has denied liability. Huw Irranca-Davies reiterates that he cannot – for reasons of parliamentary protocol and resources – enter into individual correspondence with individuals other than his own constituents. Where individuals have a direct or clear familial link with a UK parliamentary constituency you may want to approach the relevant Member of Parliament for that constituency. Huw is happy to discuss the issues with any other M.P’s and to collaborate where appropriate. The Spanish regulator CNMV has confirmed that the Premier Group is a clandestine operation in respect to its activities in Spain. 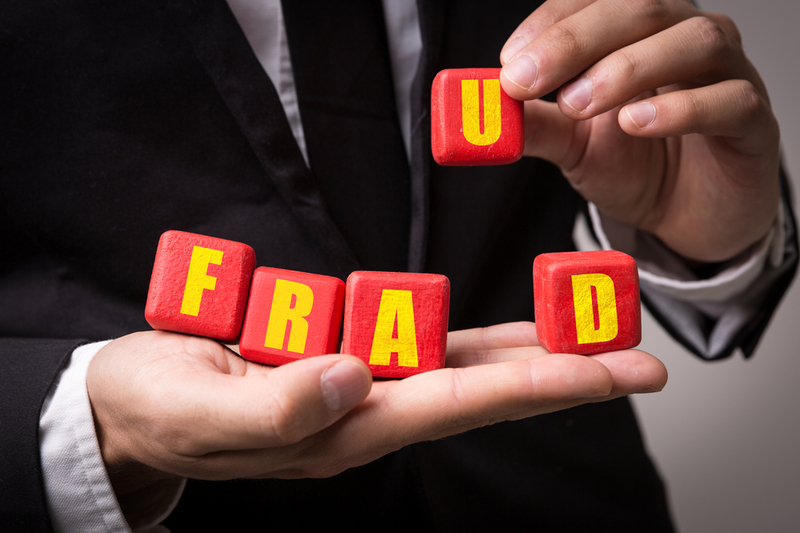 A letter received at the law firm Lawbird Legal Services lists a number of firms that have operated in Spain illegally, including The Premier Group (Isle of Man) Limited, SL Mortgage Funding nº 1 Limited and The Premier Balanced Fund PLC. Other banks that have operated furtively are ABN Amro N.V. (Gibraltar Branch), International Property Finance (Spain) Limited, BNP Paribas Trust Company (IOM) Limited and Banca del Gottardo. The Premier Balanced Fund was described as an “experienced investor fund”, restricting it to people capable of understanding the risks, but they needed a lender who could come up with 40 million Euros to invest in their fund. But there was an added element in the form of bricks and mortar: approximately 100 Spanish properties would be used as collateral to ensure that, if the investments went down, 200-odd British pensioners could be made responsible of footing the bill. The “experienced investor fund” is now probably worth less than half and the ex- mariners, ex-policemen, house wives and other Spain-based retirees who were instilled with the Fear of God with the Spanish Inheritance Tax -and fell for the scam- have their properties, and lives, bogged down. Perverse Nicky Flux, loyal till death to SLM, keeps sending her monthly letter out to pensioners…letters coming from a company that would disgrace any Nigerian 419 business. The Premier Balanced Fund plc (“the Company”) is an experienced investor fund and complies with the requirements of the Financial Supervision (Experienced Investor Fund) (Exemption) Order 1999 (the “Order”) of the Isle of Man. Shares in the Company are only available to persons sufficiently experienced to understand the risks associated with an investment in the Company and who are willing to invest more than the minimum specified in the Order.The Value of shares in the Company, and the income produced by them can fall as well as rise. Investors may not get back the value of their original investment.The Company, is not subject to any form of regulation or approval in the Isle of Man and investors are not protected by any Isle of Man statutory compensation arrangements in the event of the failure of any of them. The Isle of Man Financial Supervision Commission does not vouch for the financial soundness of the Company or for the correctness of any statements made or opinions expressed with regard to any of the same. It is the responsibility of any person/s wishing to apply for Shares in the Company to inform themselves of, and to observe, all applicable laws and regulations of any relevant jurisdiction. Below is an informative letter sent to Rothschild potential claimants. The purpose of this email is to confirm that we will be lodging our claim against N.M. ROTHSCHILD & SONS for misleading and illicit advertising with the Courts in Malaga (Juzgados de lo Mercantil) next Friday 7th of June 2013. We have experienced some delays due to not having documentary evidence which we consider to be relevant, as well as an unexpected Court filing fee that came into force shortly after our decision to file which meant that the case would have cost an additional 15k Euros to proceed with. However, we can now confirm that we are now in a position to proceed as we have gathered a compelling amount of misleading advertising that constitutes the backbone of the case that is being filed with the Courts (to be posted at the ERVA -www.erva.es site over the weekend). The referred to advertising was produced by Rothschild and also, by the IFA companies that were selected by Rothschild to sell the product. This advertising is false, untrue and encourages tax evasion by suggesting that Spanish Inheritance Taxes are so onerous that is nothing is done, inheritors of Spanish unencumbered property owners would be prevented from inheriting and the property would be lost to the Spanish State. Other fallacious arguments include stating that the Rothschild mortgage is different from a normal mortgage, that the clients “…will not be exposed to unnecessary risks”, that the product “…is designed in such a way that it will potentially produce enough income to service the loan and also, leave a bit of money for the borrower”, that it is a “…responsible product” or “…similar to the Spanish reverse mortgage”, that Rothschild had “…restricted the availability of this product to handful of selected intermediaries” (Hamiltons and Henry Woods), that a “…Mrs. Smith (fictitious person) would have discovered following the death of her husband, to her horror, that IHT in Spain could reach 81.60% in Spain” (when the maximum liability of a spouse is limited to just over 34%) and many more. Similarly, deliberate omission of the risks involved in the product are considered to be misleading and therefore, illicit. As an example, Rothschild deliberately concealed the consequence of the very obvious and unavoidable scenario where the investment does not cover the cost of the loan: you lose your home. The writ includes several petitions to the Courts: that the advertising is declared illicit, that Rothschild runs at least 4 ads on the Essential Magazine rectifying the misleading publicity (at their cost) and that all contracts signed as a result of such publicity are set aside, restoring customers to their original position prior to signing of the Credit Select mortgage loan, insofar as is practicable. Finally, we would like to stress that some IFAs are currently advising against going to Court and are recommending what is called as a “Standstill Agreement”. We would like to advise that such document is a legally useless agreement that does not deal with the fraudulent nature of the CreditSelect loan and is designed to buy time for Rothschild, who prefer to deal with the less belligerent children of their victims as they pass away. In other words, it is a cynical money-making ruse designed at the expense of perpetuating the suffering that N.M. Rothschild & Sons is inflicting on innocent property owners. If you have not yet joined this case and you wish to, kindly reply to this email so that we can provide you with the necessary instructions.